How engaging! 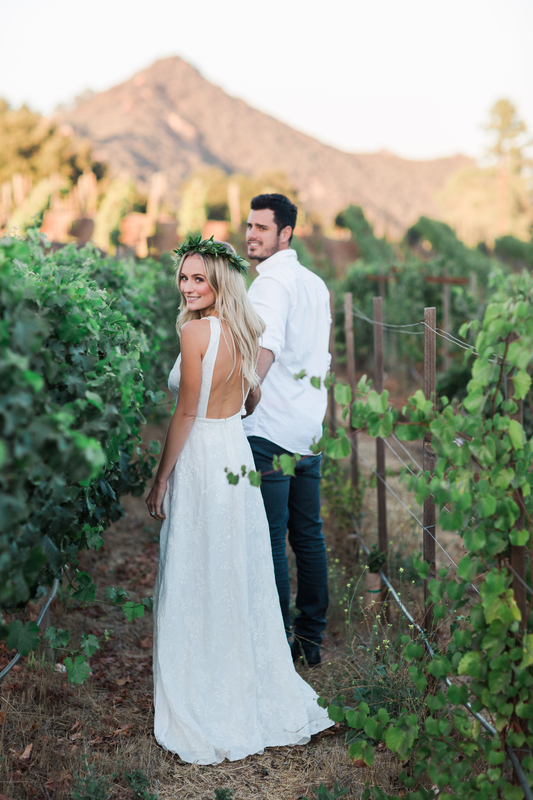 Ben Higgins and Lauren Bushnell’s wedding will surely be small screen–worthy, if their engagement photos are any indication. 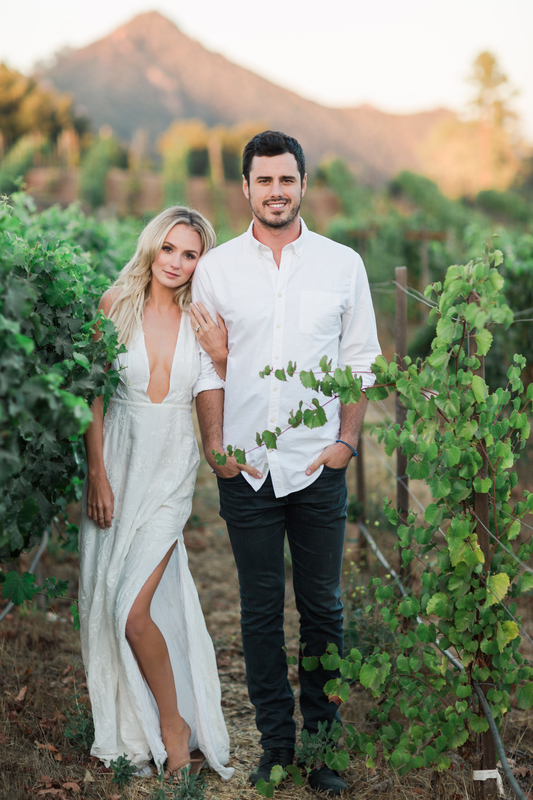 The Bachelor alum, 28, and his fiancée, 26, posed in a Malibu shoot done by photographer Valorie Darling. The bride-to-be, who shared one image in an October 27 Instagram post, stunned in the white backless Monta Vista Maxi Dress by the Jetset Diaries. Higgins kept it classic in a white button-down with rolled sleeves and slim-fitting dark wash jeans. Bushnell, who’s a flight attendant, also served subtle Snapchat vibes with her accessory of choice: a crown made of green, lush leaves. And of course, engagement photos wouldn’t be complete without the money shot — a good view of the ring. Bushnell’s 3-carat emerald-cut Neil Lane engagement ring was visible in a second Instagram post, uploaded on October 28, where she and the account manager embraced. “I&apos;m just going to keep em comin because I feel like I&apos;m in a @taylorswift music video and that is where dreams come true,” she captioned the photo. 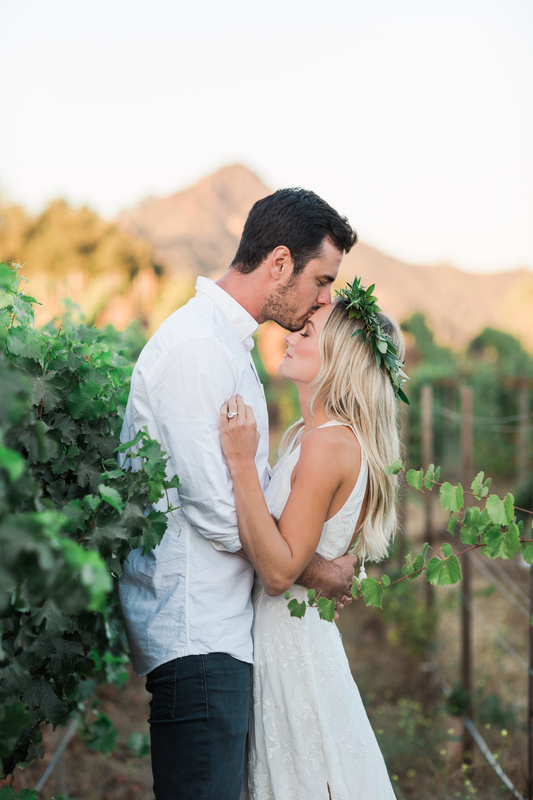 The Ben & Lauren: Happily Ever After? stars discussed their wedding with Us Weekly in October 2016, revealing that they’re enjoying their engagement (and their revamped Denver love nest) for now. "We have really been trying to focus on our relationship and taking everything day by day," Bushnell said. "Life has been so crazy that I think if we start to think [about airing a wedding special], we get a little overwhelmed, and we’re just finishing up this project."